Meet Customer Expectations At Any Size! Team up to deliver tools that have an impact. I’m pretty sure that, regardless of the size of your center or company, you seek to deliver a great customer experience. And I’m willing to bet your customers have a choice of channels. Unfortunately, I’m almost nearly as confident that your customers sometimes feel pain from their inability to easily cross channels and achieve the coveted “first-contact resolution.” Perhaps employees struggle when they lack visibility into customer activity, can’t get to the right information to solve a problem, or must convey the dreaded “someone will get back to you.” Leadership notices when the compromised customer experience jeopardizes revenue, escalates costs or tarnishes the corporate reputation. Of course, we encourage centers of all sizes to seek the best outcome for their company and their customers, but if you have a small center, these universal challenges may seem especially daunting. The good news is small centers may be in a better position to tackle the issues given the shorter path to senior leaders who can work together and plan for technology and the resources to succeed. This article shows how even small centers can successfully plan for and pursue investments in technology, with an emphasis on collaboration across departments. It provides a framework for this undertaking and ensuring that a strategic mindset drives the path to technology change accompanied by the resources and processes to deliver value. Catalog the ways interdepartmental cooperation impacts the customer, the center and the company. The trendy “customer journey” concept can help expose the roles various channels and departments play. Look at who owns which channels, what triggers an interaction, what is required from back-office groups, and how the contact center sits in the middle of all this activity. Map out the end-to-end path for the most typical activities. Outline what’s working for all and why. Then take a stab at identifying what is broken, the magnitude of the problem and the likely bottomline impact expressed as lost (or jeopardized) revenue, customer compensation to salvage relationships and incremental customer service costs. Include use cases (complete with call recordings, where possible!) to punctuate the need for resolution, give a voice to the problem and gain executive attention. Use this information as the clarion call to get a spirited conversation started about changing the way the company delivers on its service excellence promises. Once you have the right players’ attention, cast your vision for a strategy that delivers an integrated customer experience, not just a bunch of channels and touchpoints. This strategy should contemplate cross-channel interaction with movement from one to another, as well as follow up and closure when resolution requires fulfillment, research or other actions from back-office departments. For limited resources and budget dollars to be directed at technology that improves the customer experience, you’ll need to get everyone on the same page with respect to priorities and action plans. Executive leadership is a key to success to emphasize the importance of this collaborative effort and the focus on the customer. Keep in mind that perfection can be the enemy of progress. The goal is to make continuous improvements in the customer experience while adjusting strategy, investments, processes and working relationships along the way. Forward movement that contemplates future needs makes far more sense than a frustrated collective stuck in analysis paralysis. Make educated assessments, and then move on. As FIGURE 1 shows, you’re engaging on a “circle of progress” that will continue with ongoing optimization and updates to strategy and execution. With the future vision in place and with buy-in across the organization, here are a few recommendations for your budding technology plan to improve the customer experience. SMART ROUTING can and should be delivered today. Use what you already know about the customer’s history with your company and current situation to drive data-based, concierge routing and handling that personalizes the customer experience. Customize the prompt structure to play pertinent options only. Route to an appropriately trained agent for the predicted customer need. Ensure that the agent greeting and the identification/ authentication process acknowledges what you already know and anticipate. Support web and mobile apps with features that make these channels even more attractive for customer use. For example, offer website visitors the opportunity to CHAT with a representative as a sign that you’re genuinely interested in creating a successful interaction. Use SMS/TEXTING for automated, proactive outbound as a way of meeting the customers need before they have to contact you. And given it is a preferred channel for many, consider using SMS/texting for twoway communication as well, with customers or internally (e.g., field personnel) to bring a new level of efficiency to many inquiries and updates. When a customer moves from the IVR, web or a mobile app self-service to contact center ASSISTED SERVICE, don’t make them restate the information they’ve already entered. This gap is a major customer pain point and a great place to target improvements with the various channel owners. You’ll want to include IT in the discussion to ensure information is transferred quickly and securely, and is integrated into the desktop applications. Success in all of these channels requires extensive data availability. Properly executed, a well-designed CRM solution can engender improved data usage throughout the company, providing one data repository for marketing, sales and service, across customer relationship and lifetime. Smaller organizations may want the full capabilities of CRM, but fear the price tag. Many such centers resort to open source or homegrown solutions only to find that they’ve expended a lot of time and money developing something that doesn’t fully meet the business needs. 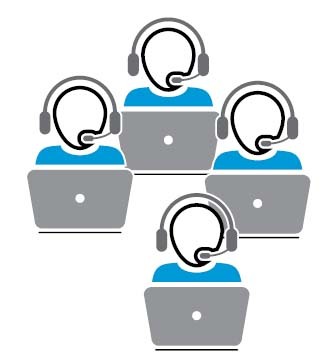 Mini-CRM (often labeled “context”) from contact center vendors or cloud-based mid-tier CRM solutions may provide viable options at an affordable price point. In tandem with CRM, KNOWLEDGE MANAGEMENT (KM) tools can ease the burden on center staff and support customers through web and mobile apps. An effective solution should have good search capability that delivers concise, targeted articles that resolve typical issues and questions. Because source information must be up to date and relevant, the contact center (and enterprise) needs a plan to monitor and manage its knowledge tools. The technology can capture data about usage and trigger updates, but an analyst needs to act on it to optimize results. Finally, the center must have appropriate PERFORMANCE OPTIMIZATION TOOLS to manage its activities. WFO suites are offered by most contact center vendors and typically include QM, WFM, Reporting and some level of Analytics. Some may even offer more niche applications (their own or through partners) for things like gamification and coaching. Good reporting is an absolute, with dashboards for real- ime and scorecards for historical performance. Speech and text analytics may be further out on your roadmap, but due to the ever-increasing value of collected data, data analytics should be a priority. This tool analyzes data from multiple contact center and company sources, enables drill-down, and presents findings in carefully crafted visual aids. Data analytics can build awareness of the underlying business propositions that the contact center supports while giving each layer of management the metrics needed to optimize their roles. And with an enterprise mindset and focus on the overall customer experience and corporate results, you can leverage analytics to a much greater degree. (or better) reliability guarantees.Cloud solutions are often implemented with little or no upfront cost. Implementation is relatively fast with low IT resource demands. The demands on IT can be very low if the vendor is a network provider as well, or if connectivity is through the internet. Ongoing IT demands can be reduced through considering the range of support options offered. Managed services (through vendor partners) substitute for scarce IT resources for SMBs and partners can deliver other value-added applications that are integrated into the core vendor tools (e.g., specific to the vertical or specific to functional gaps or integrations). 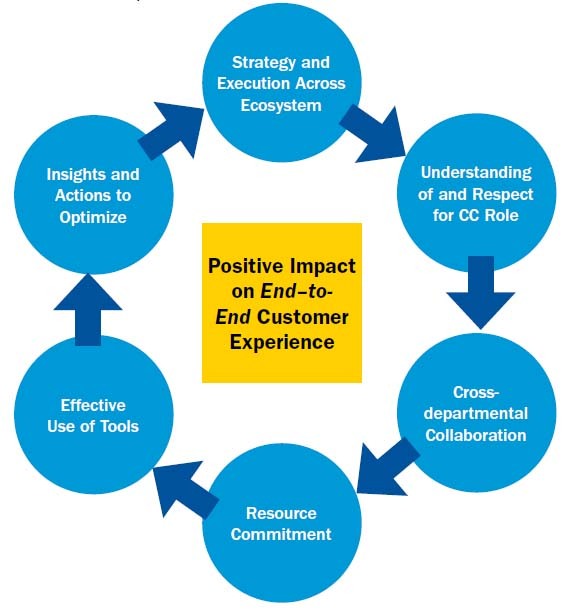 Collaboration with colleagues outside the contact center’s span of control is essential to defining and pursuing the initiatives that have the most potential to positively impact the customer experience and the related operational and financial outcomes. While it’s never easy, it may be easier for smaller organizations. A little effort can go a long way toward creating awareness of the opportunities to leverage technology across departments for the good of the company and its customers. Brian Hinton is the Principal Consultant at contact center consulting firm Strategic Contact.